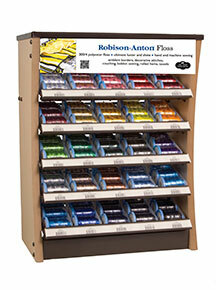 Robison-Anton®, with its variety of assortments and fixtures, can meet the needs of any retail setting. The Curve mini king spool countertop fixture provides a smaller footprint with the same attractive style as the large Curve display for a uniform and appealing presentation of vibrant, top selling colors. 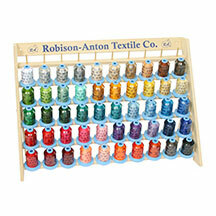 Robison-Anton 5500 yard king spools. It offers flexibility for standard peg board/slatwall mounting and placement on shelf/table options. 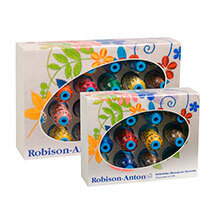 Robison-Anton wooden peg organizers come in a variety of sizes and offer easy access with instant visibility of threads. 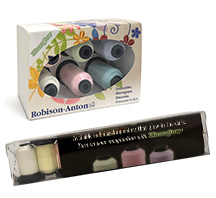 These are wonderful additions to both stores and home sewing rooms. 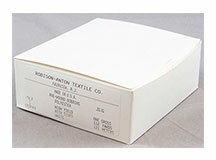 and Super Strength Rayon are excellent for both new and skilled sewers. Embrace the colorful seasons and spark your creativity. Perfect for home décor, costumes, and crafts - makes a fun gift. • KT00654001 Winter 40 wt Rayon 6 mini king spools (1100 yds/ea) in Winter colors. Add some sparkle to your projects with this collection of Metallic threads. Perfect for children's clothing, costumes, and crafts - makes a fun gift. Don't be scared by this nocturnal mix of colors! It's the perfect selection for children's clothing, costumes, and crafts during the Halloween season. 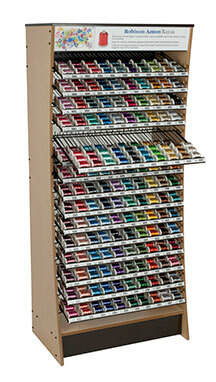 Create the costume of your dreams with this selection of thread in common Cosplay colors. 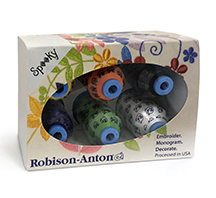 Perfect for costumes, crafts, and gifts. 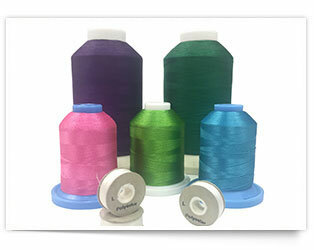 The Neon thread pack is a fun collection of Super Brite Polyester in bright neon colors. 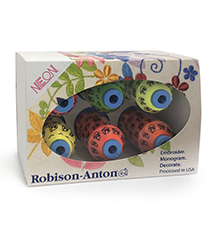 Strong and colorfast, this Neon pack makes your costumes, kid's décor, and other creative projects pop. 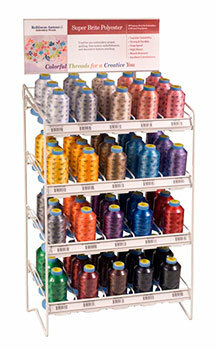 Turn on your imagination with these thread packs of glow in the dark Moonglow Polyester thread. Perfect for children's clothing, costumes, and crafts - makes a fun gift. 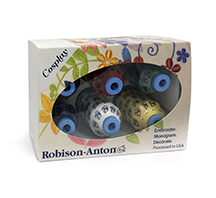 Robison-Anton precision wound bobbins are made of premium Polyester. Excellent for all sewing levels. 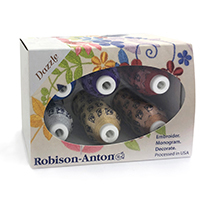 • Includes hassle-free, precision prewound bobbins with consistent yardage and tension.